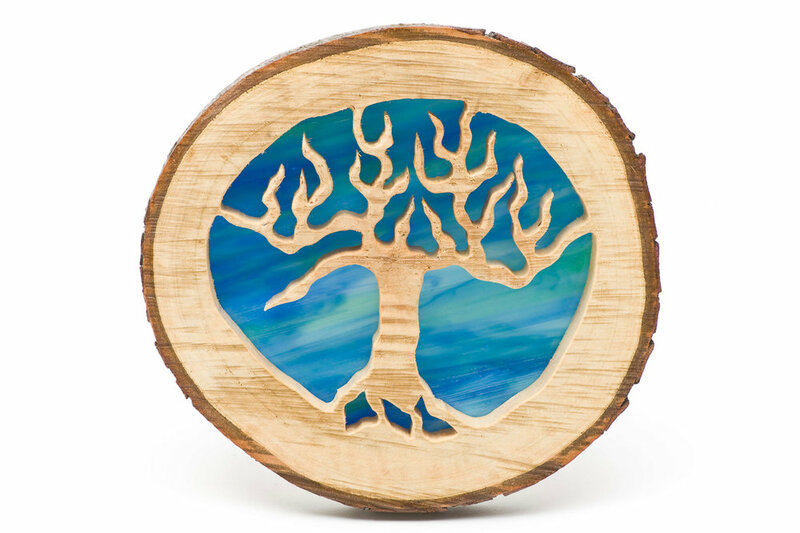 Trees of life are circles of wood cut from a tree trunk. Deb never cuts down a tree. Instead she scavenges for trees that have fallen during storms or have been cut for other reasons. She sands the pieces smooth. 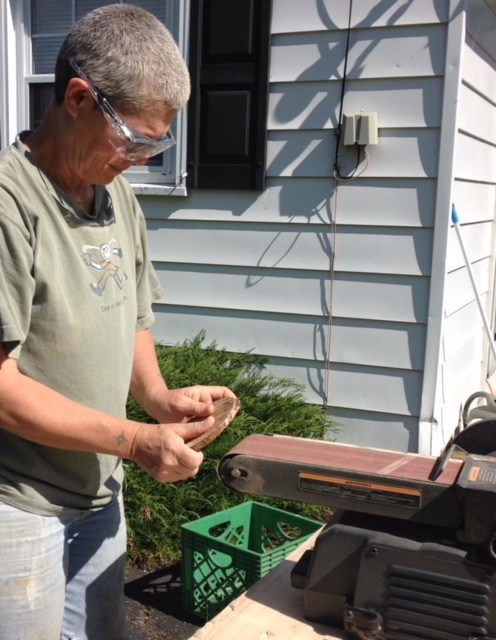 Once the tree rings have thoroughly dried, Deb uses a scroll saw to cut out the silhouette of a tree. Then she uses a rotary carving tool to add details and sand the tree. 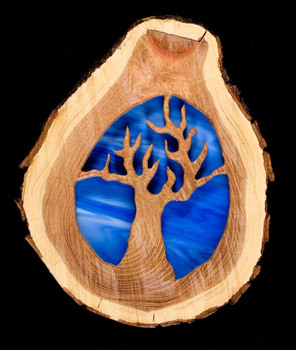 Once the wood has been sealed, Deb adds a piece of stained glass to give it a background.